Hundreds of early childhood authorities have been saying since the Common Core first reared its ugly head that the standards are developmentally inappropriate, particularly for the youngest students. Their pleas have been totally ignored. The testing ramps up the inappropriateness, verging on educational malpractice and even abuse. I now have a glimmer of why these esteemed voices have been ignored. Dr. Ken Wagner (formerly Deputy Commissioner of Education in NY State) was recently confirmed as the new Education Commissioner in RI. During the Board of Education meeting called to decide on his confirmation, he made the comment that we now know that we no longer have to concern ourselves with Piaget’s developmental stages because children can do much more than we have given them credit for. I am trying to research his claim that Piaget is passé, but haven’t come up with much so far. I find it more than ironic that Wagner was trained as a school psychologist and worked in that capacity many years ago. He prides himself on being a good listener! If only he would listen to the distress of countless children who are being subjected to these invalid tests. My district has also ventured into the claim that Piaget’s theories are no longer embraced and there are more updated theories. My district then posted an article Written By Dr. Daniel Willingham. I decided to do some digging and found out he works for the same university as Dr. Hirsch (founder of Core Knowledge), which is now owned by Rupert Murdoch of Fox News. Rupert Murdoch is also the owner of the rebranded Amplify… it morphed out of inBloom and a few other names. The CEO of Amplify is now New York’s Ex Chancellor, Joel Klein. Lots of dots to connect, but they do connect if you go down the rabbit holes deep enough. Anyway, I wrote a few posts regarding Dr. Willingham’s claims… I wanted to focus upon Developmental Appropriate Practice. I’m very tired of the claim there are no longer learning styles, multiple intelligences, or developmental milestones and continuums… fortunately… we have 500 early childhood psychologists on our side who wrote a joint statement against the common core state standards. Are you aware of this document? Yes, Raz, I am familiar with that document–that what I was referring to in my comment. Thanks for your tremendous research. I’ll be perusing all of your links tomorrow! 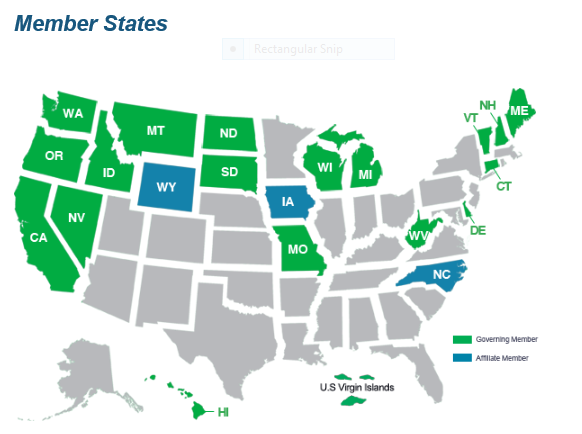 SBAC is in more states than are listed on the map. In TN we got rid of PARCC and hired a company out of NC called Measurement Inc. Well Measurement Inc then signs a contract with AIR/SBAC to create our assessments. So what does AIR do? They go to Utah and lease the SAGE Common Core assessment questions (created by AIR) for the state of Tennessee. See how it works folks. So check under the layers and you will find either PARCC or SBAC hiding.